Ah, celebrities… We just can’t get enough of them. But even those of us who think we’re pretty in the know about the stars, what they wore to what, and whom they dated when, can get a big surprise every now and then. So in celebration of nothing in particular, today we’re counting down some of the strangest celebrity pairings throughout history. How many of them do you remember? Adorkable musician Josh Groban has managed to pull an impressive share of babes in the past, with his other exes including Katy Perry, Selma Blair, and Michelle Trachtenberg. He’s currently tied to 2 Broke Girls star Kat Dennings, while Jones has been paired with funny guys Will Forte, Liam Hemsworth, Jason Sudeikis, Jeremy Piven, and Ashton Kutcher, and is currently single. A few years ago when the Smashing Pumpkins frontman went a bit off the rails, he shocked us all by truly smashing it with the babes. From Tila Tequila to Jessica Simpson to Courtney Love, the 49-year-old songwriter has certainly raised some eyebrows with his partners in the past. Last year he welcomed his first child, son Augustus Juppiter Corgan, into the world with 22-year-old girlfriend Chloe Mendel. Does this mean he’s finally settling down? Speaking of Courtney Love, whom former flame Corgan later labelled “an abyss”, you might be surprised to learn that the Hole rocker was actually engaged to Fight Club star Edward Norton, with whom she had a two year relationship. The couple met on set of the 1996 film The People vs. Larry Flynt, and Love has since said she regrets not going through with the nuptials. She also weirdly dated British comedic actor Steve Coogan in the early 2000s. More surprising than the fact that Colin Farrell briefly dated Britney Spears is the fact that the Irish actor was in a romantic relationship with Elizabeth Taylor from 2009 to 2011 (but we couldn’t find a picture of them together). “I wanted to be [husband] number eight, but we ran out of road”, he said on the Ellen DeGeneres Show back in 2013 about his unlikely love story with the woman forty-four years his senior. 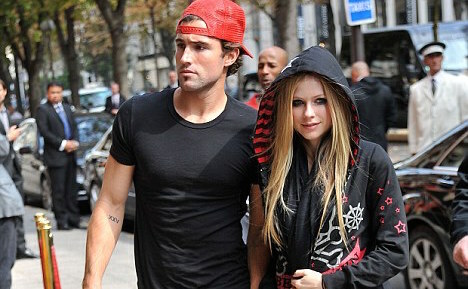 After capturing the hearts of every teenage girl watching Laguna Beach, and dating co-stars Kristin Cavallari and Lauren Conrad, plus similarly petite blonde Nicole Richie, the son of Caitlyn Jenner and Linda Thompson was in a two year relationship with Canadian sk8er grrl Avril Lavigne, whom he took as his date to step-sister Kim’s wedding to Kris Humphries, and got not one, not two, but three matching tattoos with! Tennis star Agassi made it love, set and match when he dated songstress Barbra Streisand back when he was 21 and she 49. The fellow Taureans only lasted twelve months together, but Barbra seemed very into it back in the day. “He’s very intelligent; very, very sensitive, very evolved; more than his linear years”, she gushed in 1992. We kinda wished these two formerly engaged Canadians had gone the distance. The pair first got together in 2002, but called it quits in 2007. 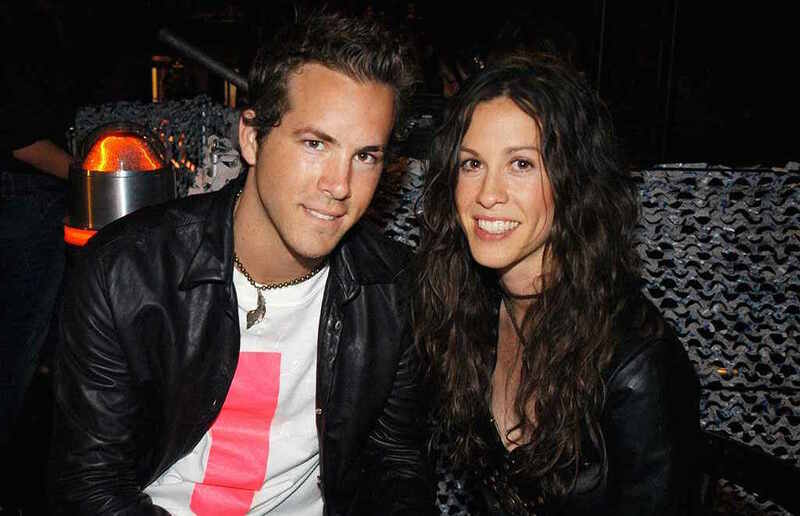 Reynolds has now been married to Gossip Girl‘s Blake Lively for three years, but earlier in 2016 gave a rendition of Morissette’s “Isn’t It Ironic” for old times’ sake on NBC’s Today. Cute! The only good thing to come out of the film Murder by Numbers, this unexpected but totally adorable couple with a seventeen-year age difference lasted around two years from 2001 – 2002, but decided to split after the long distance got too much (Bullock lived on a ranch in Texas while Ryan lived in a loft in Downtown LA). It’s a Notebook-worthy love story. Okay, we know what you’re thinking. How in HELL did this happen?! The Counting Crows singer not only briefly dated Aniston in the ’90s, but was also in a relationship with her FRIENDS co-star and real life BFF Courteney Cox after the actress appeared in his video for “A Long December”. They’re not the only beauties in Duritz’s dating history, though, as he was most recently in a relationship with Emmy Rossum, and before that supposedly dated Winona Ryder and Lara Flynn Boyle. We’ll leave that to sit with you. 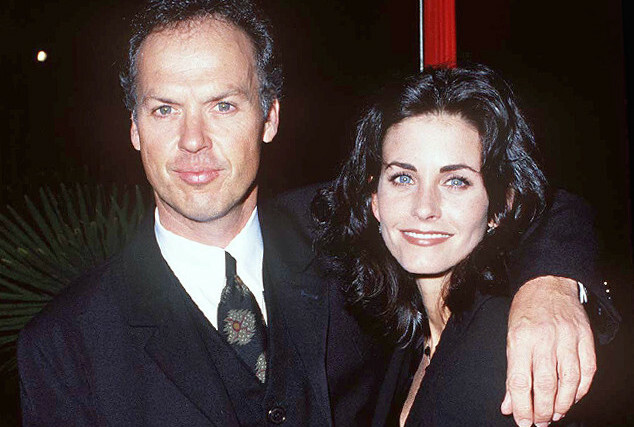 Following on from the above, the bubbly Courteney was in a six-year relationship with reclusive actor Michael Keaton from 1989 to ’95. Looking back at it now, they actually seem pretty compatible! Can you believe these two cuties were an item for seven years?! Here’s what Downey Jr. told Parade magazine about the relationship in 2008 (17 years after the split): “I liked to drink, and I had a drug problem, and that didn’t jive with Sarah Jessica, because it is the furthest thing from what she is. She provided me a home and understanding. She tried to help me. She was so miffed when I didn’t get my act together. I was in love with Sarah Jessica, and love clearly was not enough”.